Although Lean has its roots in manufacturing, nearly every industry and type of organization around the world can benefit from it. A little while back, we reviewed 5 Critical Lean Tools that are a great way to get started implementing Lean. Today, let’s continue with 5 More Critical Lean Tools. Kaizen is a method for accelerating process improvement projects. 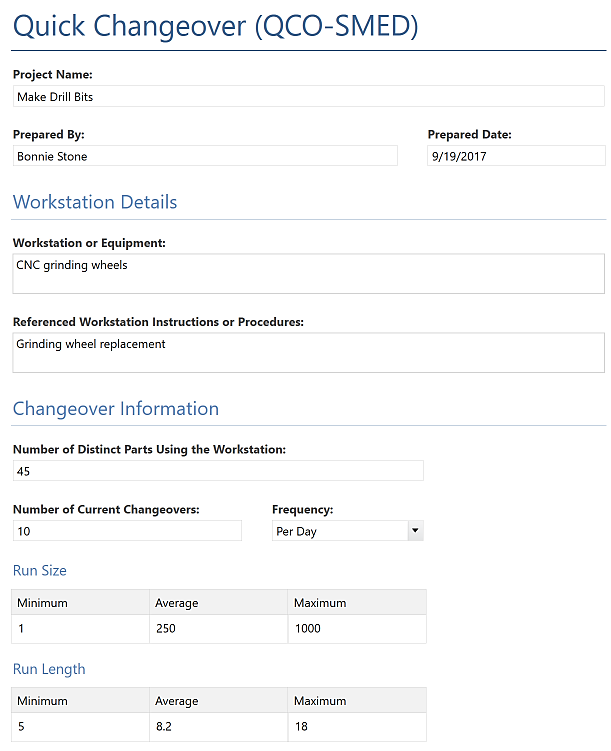 While originally developed for manufacturing, Kaizen is used extensively in a variety of industries and is a valuable technique for the process improvement practitioner. Kaizen is a focused 3-5 day dedicated event to drive process improvements. Employees are pulled from their daily duties to participate. Solutions are implemented immediately. 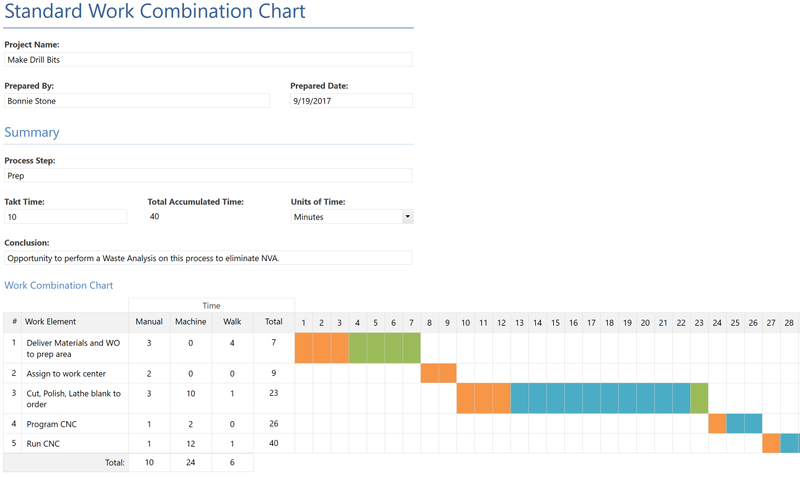 Leaders use the Companion Roadmap™ above to better plan and implement a Kaizen event. In Lean, waste is anything in a process that is unnecessary and does not add value from the customer’s perspective. The purpose of Lean is to identify, analyze, and eliminate all sources of waste, such as defects or excessive inventory. 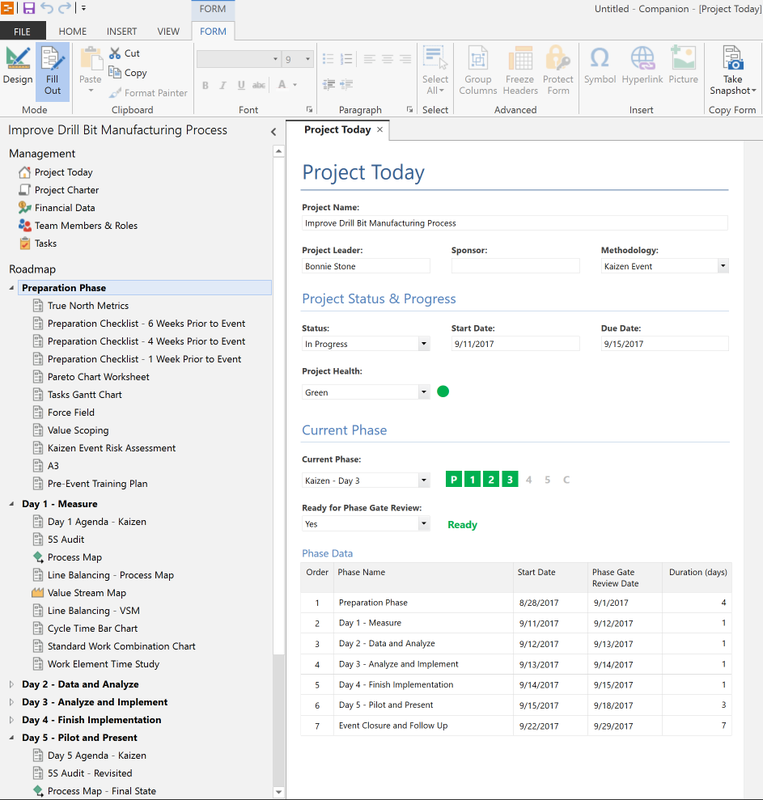 Use Companion by Minitab’s Waste Analysis by Operation form to document the types of waste at each process step and to quantify and color-code the degree of the waste. 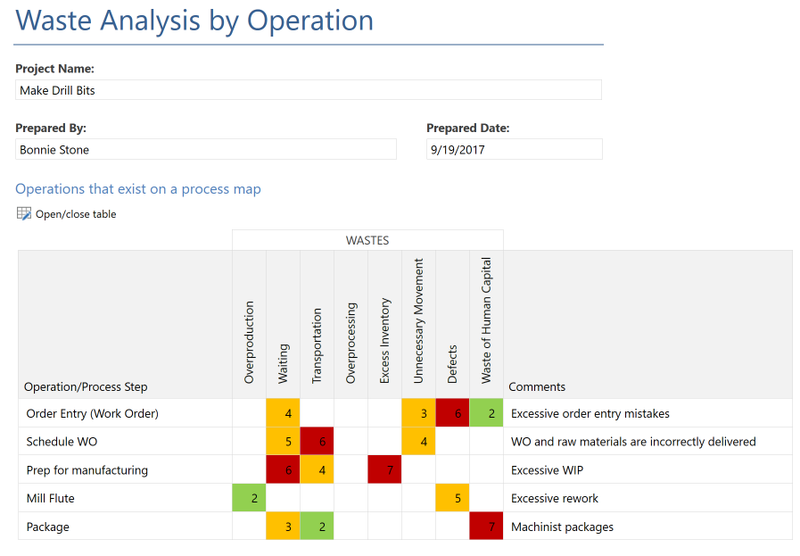 The Waste Analysis activity is most effective when performed by multiple observers, both within and outside of the process being examined. External - can be done while the process is running, either before or after performing the setup. 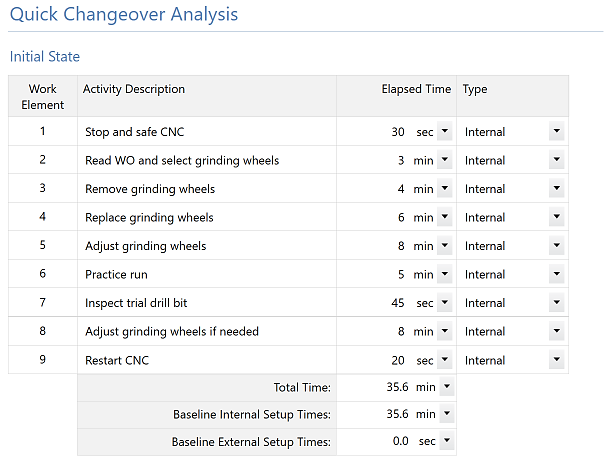 Use the Quick Changeover (QCO-SMED) form to compare the internal and external components of process changeover, or setup, for both current and improved states. 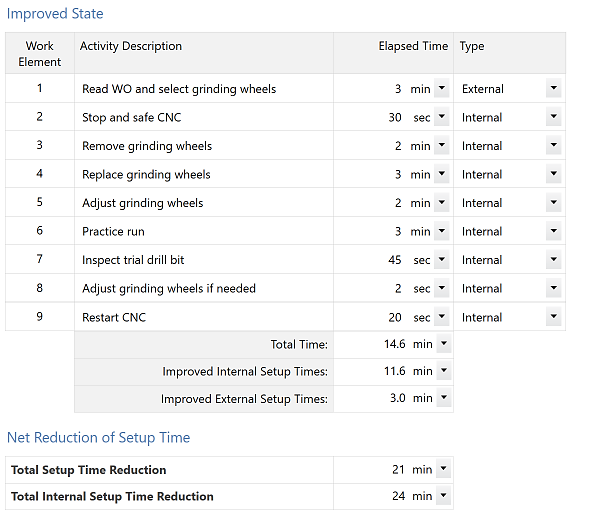 By implementing Quick Changeover, organizations can reduce internal setup time which reduces the amount of non-productive process time and enables more setups, smaller run batches, and improved flow. The secondary goal is to reduce total setup time to free up labor. Line balancing is a technique for “equalizing” a set of process steps to smooth the time required to accomplish them. When process steps are not balanced, one or more constraints or bottlenecks may be present. The goal is to eliminate non-value-added tasks, combine tasks and closely balance the remaining steps so that all meet the rate of customer demand. 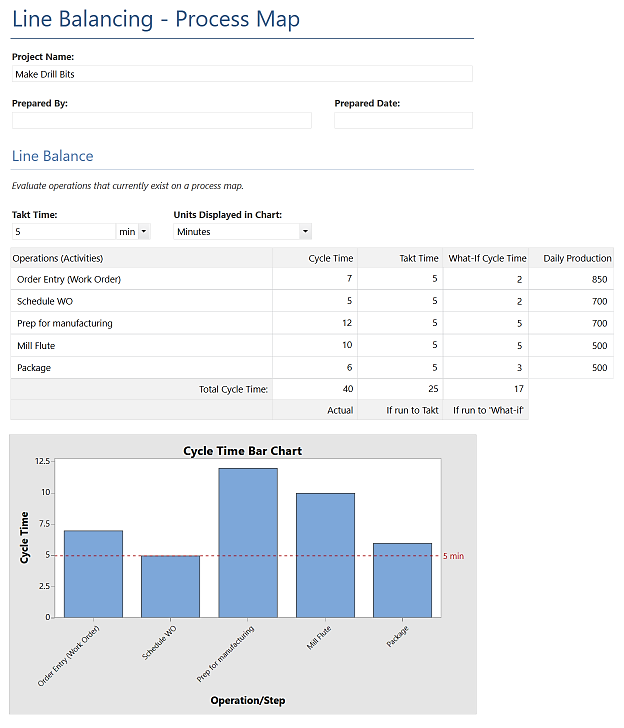 Use Companion by Minitab’s Line Balancing - Process Map or Line Balancing – Value Stream Map form to compare the cycle time for multiple operations on a process map or value stream map against the takt time (time required to meet customer demand). This analysis is useful when you try to balance either a cell or a sequential series of process steps. It highlights the waste of waiting. Standard work establishes a set of work procedures that provide the best and most reliable methods and sequences for processes. Standard work clarifies the process, documents the best way to do a job, ensures consistency, expedites employee training, and provides a baseline for further improvement. 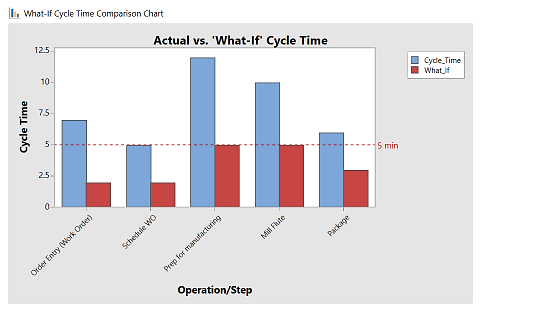 Use Companion by Minitab’s Standard Work Combination Chart form to show the manual, machine and walking time associated with each work element. The output graphically displays the cumulative time as manual (operator-controlled) time, machine time and walk time. Looking at the combined data helps to identify the wastes of excess motion and waiting. You can visit Companion by Minitab online help to watch videos, learn more about these tools and download the free 30-day trial to try them yourself. Comment here or let us know on Facebook or Twitter if you have any questions or other areas you would like us to cover.